New Years Day have announced that they will not continue the Let's Get Abducted tour with Attila, Bad Omens and Cane Hill due to injury. Vesta Collide will replace New Years Day on the tour. 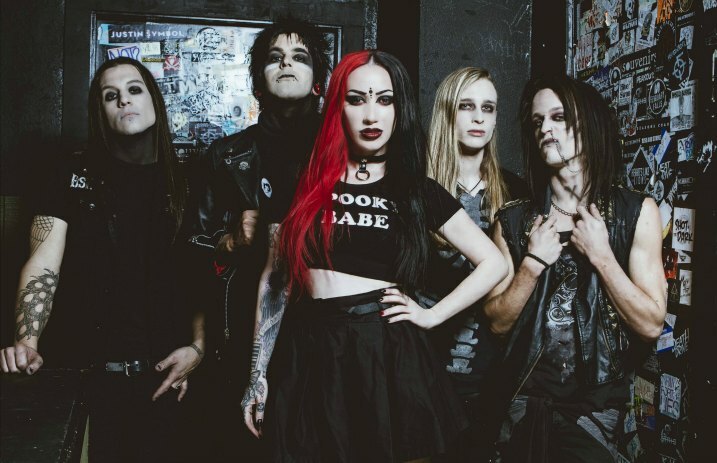 In a statement on the band's Facebook, frontwoman Ash Costello explains that she broke her foot before the tour, and the injury now requires surgery. It deeply saddens us to inform you that we are unable to continue on the Let’s Get Abducted tour. As you may or may not know, I broke my foot a few hours before we left for tour last week. Even in a cast I still wanted to play these shows. After my doctor check-up this morning, she showed me the bone in my right foot shifted, which will require surgery to fully fix. I am truly devastated to be missing any shows, especially with how great the tour has been. Thank you for understanding, and I promise we have some amazing things in store for you this year. Vesta Collide released a music video for their track “I Can't Sleep” today.